The first missing child to be pictured on a milk carton was one of the highest-profile unsolved mysteries ever. But nearly 40 years later, the case is finally closed. Etan Patz was just 6 years old when he went missing in 1979, and now a New York man has been found guilty of his murder. Patz disappeared on his way to catch the school bus in the Soho neighborhood of New York, launching a massive search operation that changed the way missing persons cases were investigated. He became the first child to have his picture on a milk carton, as well as countless missing child posters, and the date of his disappearance, May 25, became national Missing Children’s Day. A national hotline for missing children and a national database of missing children were also established after years of searches resulted in no physical evidence. “Etan’s legacy will endure through his family’s long history of advocacy on behalf of missing children,” Manhattan District Attorney Cyrus Vance, Jr. said in a statement Tuesday. “This case will no longer be remembered as one of the city’s oldest and most painful unsolved crimes,” he added. Nearly four decades later, Patz’s body still has not been found, but a man has been found guilty of his murder. 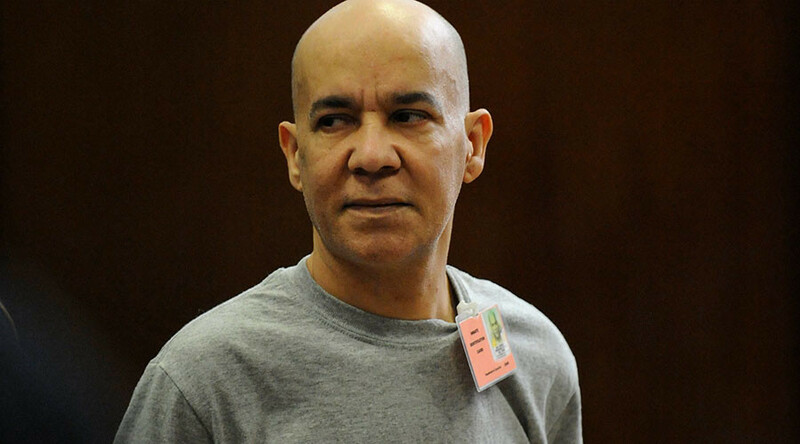 On Tuesday, Pedro Hernandez, 56, was found guilty of murder and kidnapping by a jury in the New York State Supreme Court in Manhattan. "It's about time," Stanley Patz, Etan’s father, said, according to WPIX, "there was only one verdict: guilty beyond a reasonable doubt." At the time Patz went missing, Hernandez was working as a stock boy at a deli only blocks from Etan’s route to the school bus. In 2012, Hernandez confessed to a series of crimes, including luring Patz into the basement of the deli, where he strangled him. Police immediately arrested Hernandez, and he has been behind bars ever since. Hernandez was tried for Patz’s death in 2015, where all but one juror believed he was guilty. That lone juror claimed that Hernandez’ testimony was tainted by his mental illness and police coercion. "We decided he has an illness ... but that didn't make him delusional," the juror said, according to the Associated Press. "We think that he could tell right from wrong. He could tell fantasy from reality." The judge ordered a retrial after a hung jury, but Hernandez's court-appointed lawyer, Harvey Fishbein, said he would challenge the new verdict. "We are just hopeful that an appellate court will coldly examine the facts," Fishbein told WPIX. "There will be an appeal, because over the years we have established serious legal errors in this case, and I hate to say it, but I'm confident we will be back here someday," Fishbein said. Hernandez is scheduled to be sentenced on February 28.